Effective diets are always a point of contention. There are low-carb diets, low-fat diets, liquid diets, and a number of other options. For the most part, many are just fads, and all can provide quick, short-term weight loss benefits. But if you’re interested in overall health, you shouldn’t want quick results.Why? Because quick results often turn into a fast relapse, where you’re likely to put on more weight than you lost. But a low-carb diet has a number of benefits to your health—not just your waistline. In my opinion, the low-carb and low-fat diets are both effective ways of losing and maintaining weight. My personal preference is the low-carb diet, and I’ve previously tried this diet to shed weight and maintain a physique I’m happy with. If done properly, there are a number of benefits to a low-carb diet that can produce long-lasting results. The key to successfully attempting a low carb diet is to understand exactly how to do it. The first thing you need to know is that eliminating carbs completely from your diet is not the way to do it—you need carbohydrates to survive. The sugars they provide are essential for body maintenance, including muscle contraction, energy production, nutrient transportation, and more importantly, thyroid function. So what is a low-carb diet? It depends on how you want to distribute the carbohydrates. For example, about 100 grams (g) per day would be considered low. If you go lower than that, it is worthwhile to cycle higher carbohydrate days in during the week, where you would boost intake from 20-50%. The frequency and amount depends on your body composition and metabolism. The less fat you have, the more active you are and the faster your metabolism, the more regularly you can include carb-reefed days (two to three days per week). One of the most effective fat-loss diets is a very low-carb ketogenic diet. In a ketogenic diet, you’re basically taking 75% of your calories from fat, 20% from protein, and only five percent from carbs. The first couple of weeks can be very difficult and you’ll likely experience symptoms including fatigue, trouble concentrating, and decreased mental functioning. After the adjustment period, however, functioning returns to normal. Although a ketogenic diet works well, it is nearly impossible to sustain. 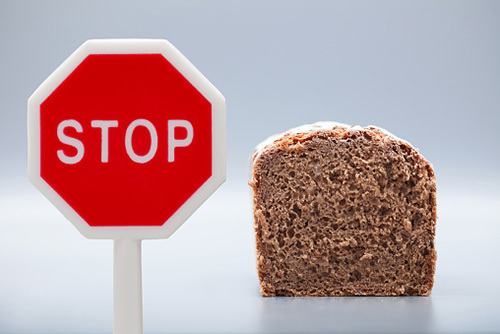 In addition to being aware that you must consume some carbohydrates when going low-carb, knowing which ones to avoid and which ones to include is also highly important to the diet’s effectiveness. I don’t believe that all carbs are created equally. I think the source of the carbohydrate is of the utmost importance because of its metabolic implications. Yes, at the end of the day your body might use one gram of carbohydrates the same way, depending on whether it comes from oats or a candy, but its path to absorption is quite different. We’ll discuss this further a little bit later. But first let’s take a look at the benefits of a low-carb diet. High carbohydrate diets—especially those high in refined carbs—are a major contributor to the obesity epidemic. Processed foods, starchy products, and candy all absorb rapidly, boost blood sugar levels, and are stored as fat almost instantly. If you’re looking to lose weight, eliminating those carbohydrate sources is essential. When you lower your daily carbohydrate intake, you can improve your blood sugar and insulin levels. This takes pressure off the pancreas and helps prevent metabolic complications of high levels of insulin secretion, which can lead to type 2 diabetes and weight gain. Going low-carb can also improve your overall diet because it severely limits—or eliminates altogether—refined sugars, which are dangerous to your health. Lipid profiles are also greatly improved, meaning lower total cholesterol, lower “bad” LDL cholesterol, and higher “good” HDL cholesterol. This can lead to improved heart health, lower blood pressure, and lower risk of stroke, heart attack, or heart disease. Refined sugars are also very calorically dense and can add a lot of calories to your diet at a rapid rate without providing much in overall nutrition. Cutting these out can remove all kinds of empty calories that could be contributing to any struggles you might be experiencing in regards to weight management. If you decide to cut carbs and begin a low-calorie diet, you still need to consider calories. You don’t want to take calories too low, so you need to find a place to replace the lost calories from the carbs you’ll be cutting. In order to do this, you’ll need to get an idea of how many calories per day you should be eating, which you can do by clicking here. Replacement calories should come in the form of protein and healthy fats. Let’s say, for example, in your new diet, you consume 1,800 calories per day. If you want to eat 100 g of carbs per day, that utilizes 400 calories—now you need to make up the additional 1,400 calories from protein and fat sources. At this point, you might want to set your protein intake at about 1 to 1.5 g per pound of bodyweight, with the remaining calories coming from fat. As you might imagine, your fat intake will increase, but don’t worry. If you select high quality fats like nuts, avocado, olive oils, nut butters, and even saturated fats found in meats, you will experience weight loss. Fat is an essential macronutrient and can contribute greatly to weight loss when following a reduced calorie diet. Although I believe the best—and healthiest—way to lose weight is with a low-carb diet, it can present a few challenges. The first is that avoiding carbohydrates is very difficult. To do it, it takes a lot of time because you’ll have to prepare most of your meals at home. Virtually any packaged/restaurant food will contain carbohydrates. If you try to maintain a very low-carb diet during the week (less than 100 g/day) and boost intake on the weekends, it might be more manageable. Just make sure you don’t go overboard and keep intake at 120 g or so. If you’re highly active, you might experience some added fatigue as you adjust to a low-carb diet. Carbs provide energy to muscles, and if your glycogen stores aren’t full, you won’t be able to perform at the level you’re used to. If you do lead a highly active lifestyle, it might be worthwhile to look at other diet options. However, you can still go low-carb if you plan properly. Plan your carb intake just before and immediately after (or even during) exercise bouts to keep glycogen stores full for exercise, and then ensure adequate replacement afterwards (about 30-40 g). If you immediately go too low in carbohydrates and too low in calories, you might experience some negative short-term effects. First, by cutting carbs completely, you likely won’t be getting enough fiber, which is essential to your health. Fiber helps lower “bad” LDL cholesterol and boost “good” HDL cholesterol and aids in digestion. Fiber is required for a healthy stomach and heart, and it is only found in carbohydrates. Therefore, make sure the carbs you select are also good sources of fiber. Another common issue that can arise with a low-carb diet is the binging potential. This is why including carbs every day is so important. If you keep them too low, you’re likely to crave sweetness and binge on them from time to time. So remember, balance is the key to avoid this. Your thyroid needs carbs, and if you’re too low, it creates cravings. When done right, a low-carb diet is a great way to improve weight and overall health. From experience, I can tell you that a low-carb diet is definitively beneficial to weight loss and overall health. Low carb diet can reduce blood pressure and even lower the risk for type 2 diabetes. When you do it right, it can really make a difference! “Low-Carbohydrate Diets,” Harvard School of Public Health web site; http://www.hsph.harvard.edu/nutritionsource/carbohydrates/low-carbohydrate-diets/, last accessed August 17, 2015. Ivy, J., “Muscle glycogen synthesis before and after exercise,” Sports Medicine, 1991 Jan; 11(1):6-19. Brinkworth, G., et al., “Long-term effects of a very-low-carbohydrate weight loss diet compared with an isocaloric low-fat diet after 12 mo,” American Journal of Clinical Nutrition, 2009; 90(1): 23-32.